Note: Candidates who possess Intermediate Grade will be considered to possess Junior Grade, as the Intermediate Grade is not treated as equivalent to Senior Grade. Note: The applicants who have not passed SSLC Examination or its equivalent are not eligible even if they possess a higher qualification. Candidates who do not possess the said qualification (viz. Certificate Course in Computer on Office Automation) conducted by the Technical Education Dept. may also apply. If selected, they should acquire such qualification within the period of their probation. Through the Provided TNPSC Group 4 Exam Pattern, Candidates can know the Structure of the question Paper. It contains No. of questions, Subject Name, Maximum Marks, Exam duration and Min qualifying Marks. Therefore check the Exam Pattern before going to start the Exam Preparation for better preparation. 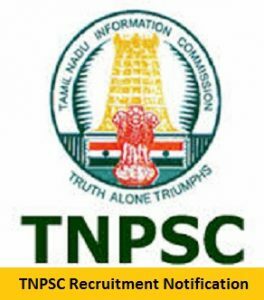 The Tamil Nadu PSC Group 4 Exam is for 3 hours. Questions will be asked from the Subjects General Studies, Aptitude Test, General Tamil/ General English etc. The Exam is conducted for total marks i.e., 300.